There are roughly 35 species in the family Veliidae. 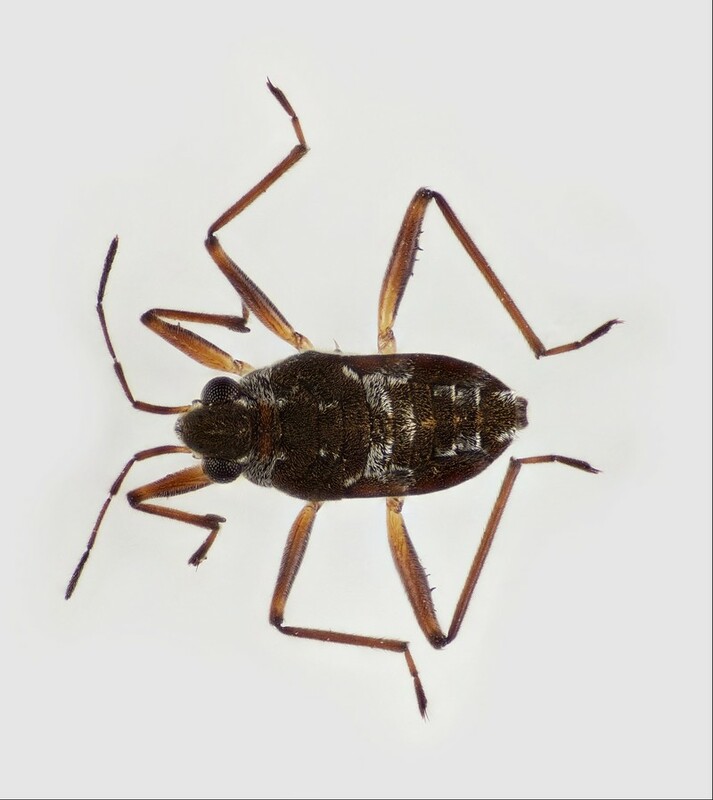 They are referred to as "riffle bugs" because they are often found on the surface of fast-flowing water. Members of this group are piercing predators. They wait at the surface and grab small living or dead invertebrates that swim or drift by. 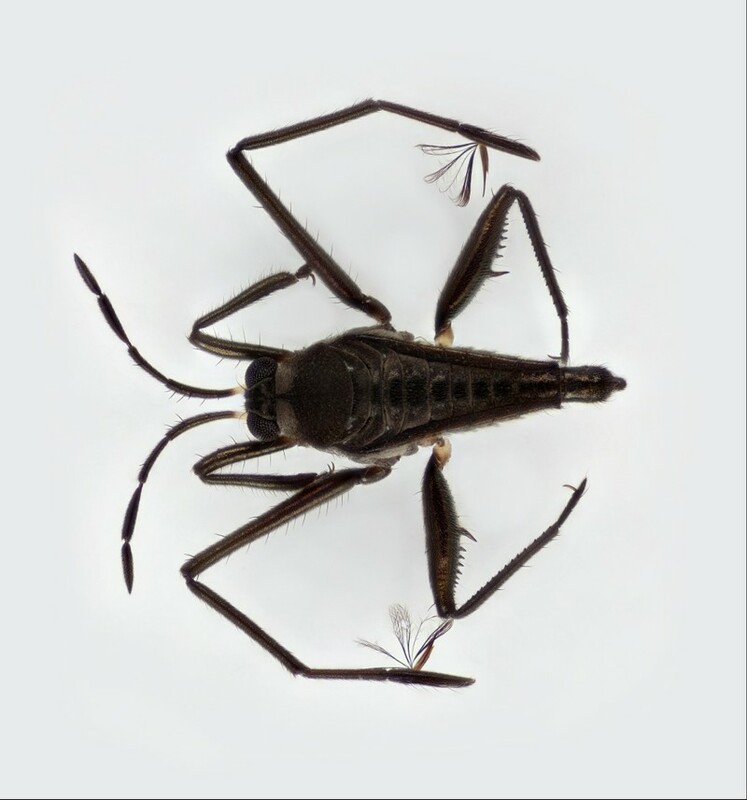 The hydrophobic (water-repelling) structure of the tarsi (last segment of each leg) helps them stay on the water surface. 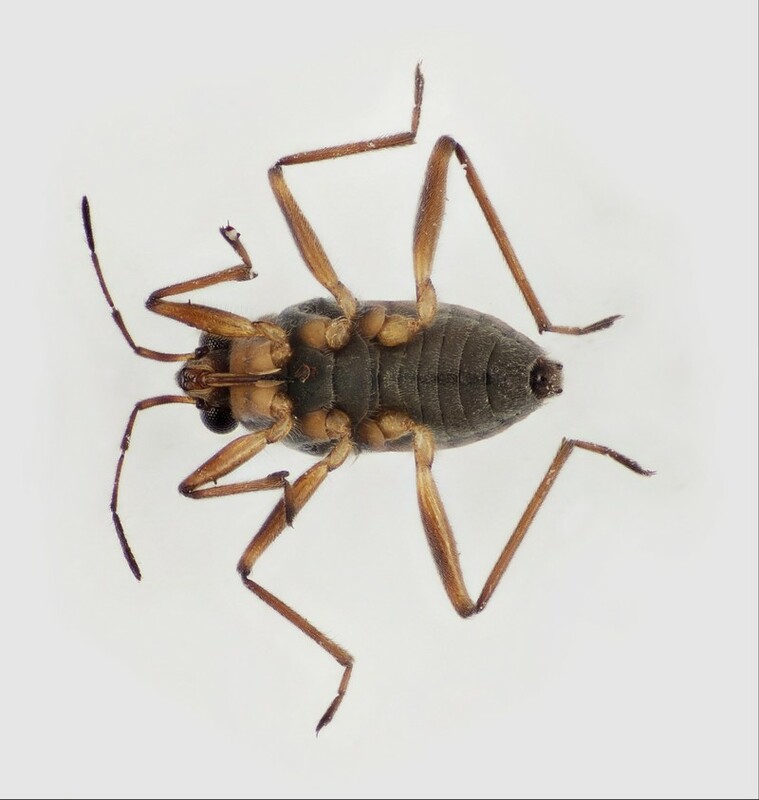 Most insects have their claws at the most apical tip of each leg; however, riffle bugs have the claws positioned before the apex. The claws are not hydrophobic and pierce the water surface, giving them "grip" for running on it. Family: Head with visible gula (suborder Heteroptera). Antennae longer than head, positioned anterior to eyes, clearly visible from dorsal side. Dorsum of head typically with median longitudinal sulcus or smooth stripe. At least front tarsi with ante-apical claws (claws protruding from leg before apex). 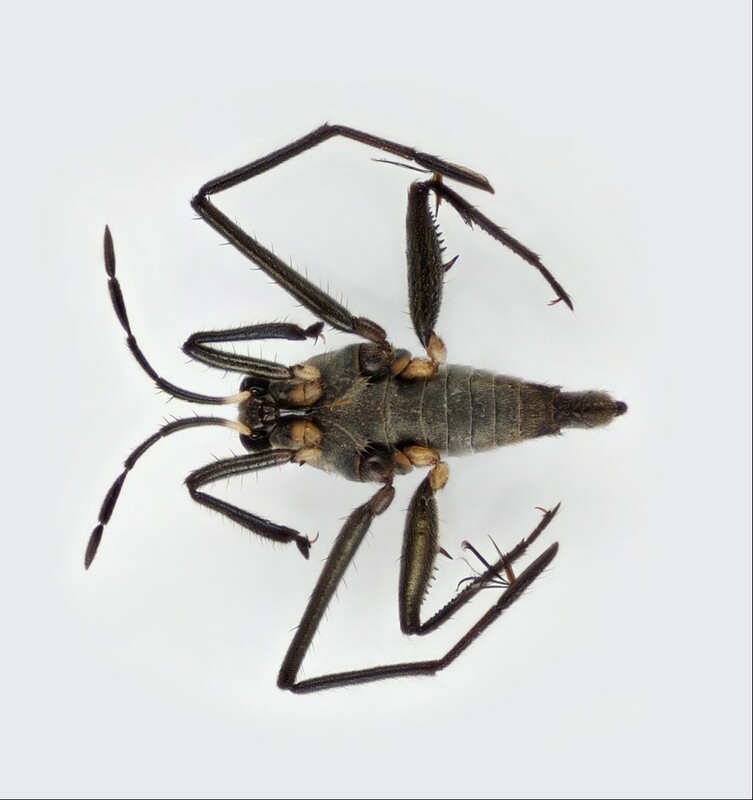 Mesothoracic legs about equidistant between front and hind legs, if NOT, then middle tarsi with feather-like or blade-like structures. Hind femora short (shorter than abdomen, or just barely longer). Laterally, metasternum with pair of scent grooves anterior to hind coxae.